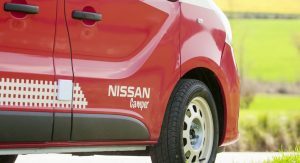 Nissan is targeting those who enjoy going outdoors in comfort with a duo of camper vans that were presented during the Madrid Motor Show in Spain. 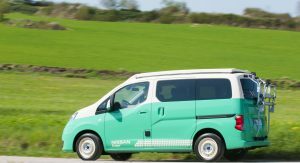 The first is based on the e-NV200 electric van, which uses a 40kWh battery and has an estimated total driving range of 280km (174mi). 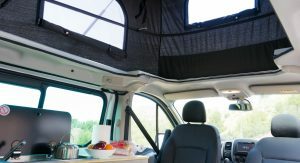 With its limited reach, the e-NV200 Camper Van is mostly suitable to those who live near the mountains or the sea – or don’t mind taking their time to stop and recharge the battery. 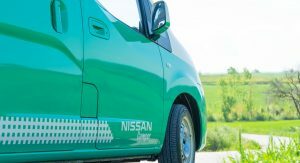 The ones who aren’t that interested in going green can enjoy the NV300, which swaps the electric gear for a 1.6-liter dCi diesel engine. 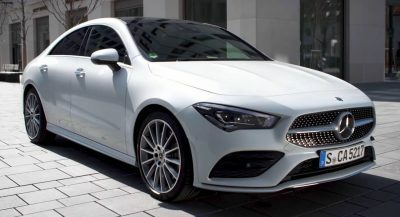 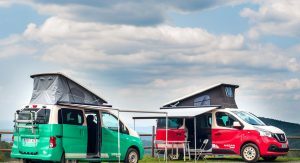 The internal combustion unit is offered is offered with four outputs in the regular models: 95PS (94hp / 70kW), 120PS (118hp / 88kW), 125PS (123hp / 92kW) and 145PS (143hp / 107kW), all mated to a six-speed manual gearbox. 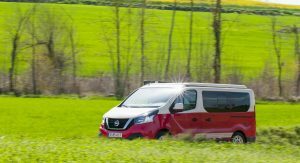 Regardless of choice, both camper vans “have interior and exterior modifications that let drivers enjoy a getaway to the countryside”, says Nissan. 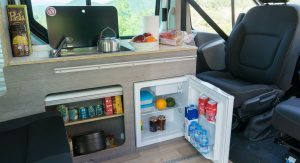 They can accommodate up to four people, who will be able to cook in the kitchen that’s equipped with a refrigerator, sink, water and gas installations. 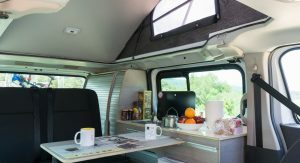 At nightfall, the interior can be converted into two bedrooms with stationary heating and window shades. 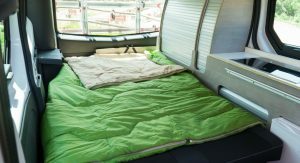 The second sleeping area consists of a double bed in the raised roof. 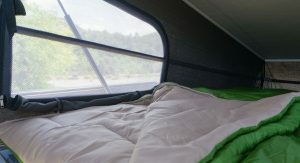 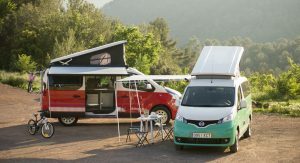 The automaker is also offering customers the possibility to personalize their camper vans, but didn’t disclose any details other than “customers in Spain can go to their favorite Nissan dealer, order a camper van and customize it”. 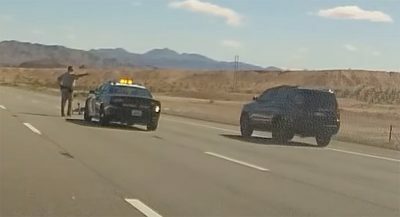 We guess that one can do the same in other countries, too. 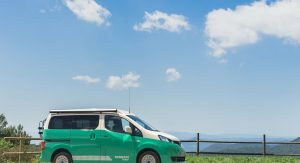 Go on Holiday with an electric van and run out of juice in the wilderness. 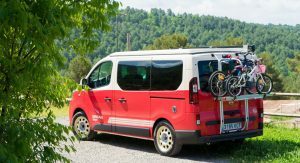 Sounds like an adventure! 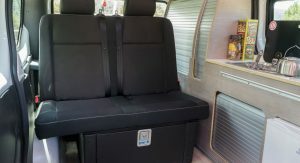 Except it isnt a VW Westfalia. 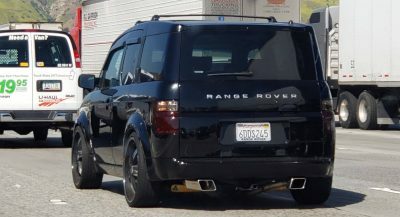 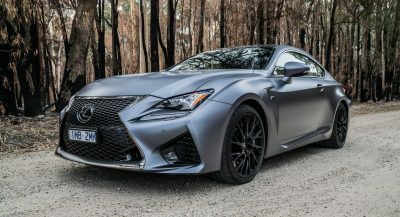 This thing isnt good looking or iconic. 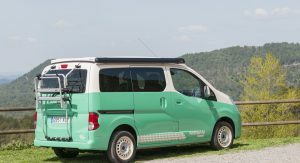 Agreed, especially with the Microbus-inspired paint schemes shown.